When looking to understand user psychology to design better product experiences, one of the richest sources of knowledge exists within the game design world. Game designers have been refining their techniques for decades to build ever more engaging and enjoyable experiences that drive specific player behavior. 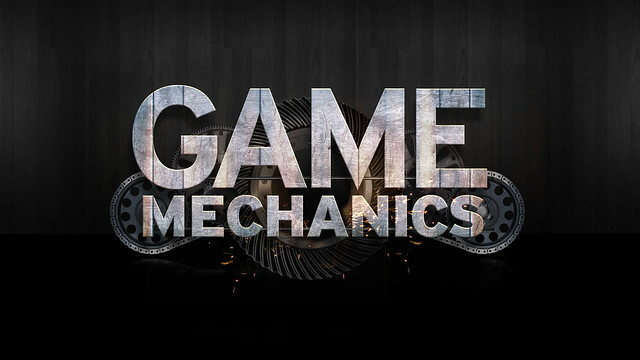 Their techniques are rooted in a deep understanding of player psychology and have built an incredible set of mechanics that they repeatably leverage to design addicting games. Today I wanted to provide an overview of some of the tenants of game design and particular game mechanics that can be leveraged to drive user behavior in any digital product. Game design always starts with an understanding of player motivation. Motivation ultimately breaks down into two categories: intrinsic and extrinsic motivation. Intrinsic motivation drives someone to perform a task for the enjoyment of the task itself. Daniel Pink is the leading expert on intrinsic motivation, who breaks it down to autonomy, mastery, and purpose. Everyone agrees intrinsic motivation is the better kind of motivation and one needs to ensure that there is some intrinsic motivation in the first place for why someone is using your game or app. Extrinsic motivation, on the other hand, drives someone to perform a task simply for an external reward or to avoid punishment. Extrinsic motivation is what game designers take advantage of to design enjoyable games and we'll see exactly how they do so through a variety of game mechanics. Achievers enjoy gaining points, levels, equipment and other concrete measurements of succeeding in a game. They will go to great lengths to achieve rewards that confer minimal gameplay benefit simply for the prestige of having it. Explorers enjoy discovering areas, creating maps and learning about hidden places. They love to take their time to explore new areas and look around at their own pace. Socializers enjoy interacting with other players, and on some occasions, computer-controlled characters with personality. The game is merely a tool they use to meet others in-game or outside of it. Killers enjoy competition with other players and are there to win against their peers. By understanding the different player types within your game, a game designer can build experiences that create extrinsic motivation for each of these player types. Game designers have established a set of best practices for doing so, which manifest in individual game mechanics they choose to leverage to drive enjoyment and desired behavior out of their users. The achievement mechanic enables players to earn achievements, which are virtual or physical representations of having accomplished something. These are often viewed by players as rewards in and of themselves. Games with badges, levels, rewards, and points are all examples of the achievement mechanic. We equally see such badges and levels used in apps like Foursquare, fitness apps, and more. The envy mechanic creates an experience where a player desires to have something that another player already has. In order for this to be effective, a player needs to be able to see what other players have (voyeurism). Allowing players to showcase their badges, levels to other players, allowing players to visit each other's farms in FarmVille, and leaderboards in general are all examples of experiences that create envy. The reality is all social products with profile and status updates inevitably create some level of envy with others through voyeurism. The ownership mechanic allows players to control something or have it as their property, which they take pride in having. Controlling parts of a game board or owning a vast army are game examples of this mechanic. Simply "owning" popularity by having a large digital representation of many friends is the equivalent of this on social products. The progression mechanic displays success granularly and is measured through the process of completing itemized tasks. Leveling up your player from 1 to 60 is the classic example of the progression mechanic. Any kind of progress bar you create in an product or service is how this often manifests outside of games. The status mechanic enables you to have a rank or level in a game that confers status in the eyes of the player and others. Being able to brag to your friends about your white paladin level 20 in WOW is the status mechanic at play. Github conveys the status of developers on their developer profiles by visualizing and summarizing their contributions across various open-source projects. The collection mechanic enables players to create a collection of items, whether they are achievements, resources, or anything else in the game. Collecting resources and badges are the classic game examples of this. The central action on Pinterest of pinning various visuals into your pin-board is also a great example of the collection mechanic at work. The blissful productivity mechanic takes advantage of the idea that playing a game can make you happier working hard, than you would be relaxing. Essentially, we’re optimized as human beings by working hard, and doing meaningful and rewarding work. Grinding in WoW is the classic example of blissful productivity. Oftentimes when we are building app experiences we try to make things as easy as possible to avoid our users having to do work. But what's equally important is enabling experiences that get them in a state of blissful productivity, encouraging them to do work in our apps quite willingly. It still amazes me the relatively small set of contributors that maintain all of Wikipedia, a great example of blissful productivity. The appointment mechanic requires that to succeed, one must return at a predefined time to take some action. Appointment mechanics are often deeply related to interval based reward schedules. Farmville requires you to come back to the game at a set time to water your plants or they will wither away. Happy Hours are a real-world example of the appointment mechanic at work. The cascading information mechanic releases information in the minimum possible snippets in order to allow players to gain the appropriate level of understanding at each point during a game narrative. Games typically show basic actions first, unlocking more as you progress through levels. Well-designed app on-boarding experiences follow this same mechanic as opposed to putting all product education up-front. The epic meaning mechanic takes advantage of the idea that players will be highly motivated if they believe they are working to achieve something great, something awe-inspiring, something bigger than themselves. Warcraft's ongoing story line has epic meaning to many of it's players, creating such deep engagement with players both inside and outside of the game. When you can tie the usage of your product or service to such an epic meaning, you'll find significantly higher motivation. May open source developers contribute to open-source projects for this very reason. I hope this gives you a glimpse of how game designers think through driving extrinsic motivation for their various player types through a variety of established game mechanics. Next time you design a product experience, take a moment to think through whether there are applicable game mechanics that might enable you to accelerate your desired behavior from your user. For those interested, I'd encourage you to read more from a thought leader and expert in game design, Amy Jo Kim.